A beautiful, winding road: I discovered Michele via the blosem blog, and Philip via Michele. It was all those shades of blue that caught my attention–this is my palette. These are exactly the colours I’m hoping to accent my now blue-black dining room with. 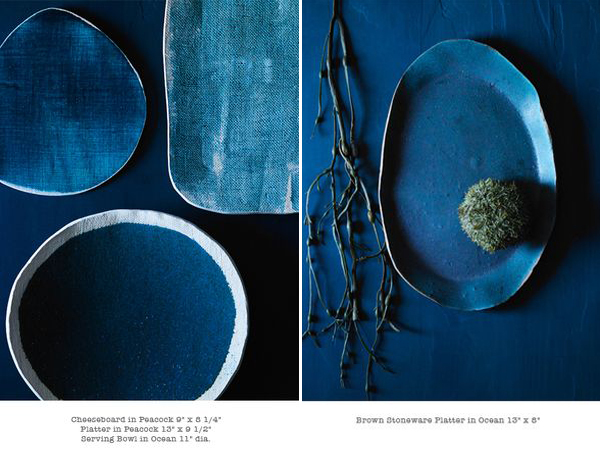 But it was the texture of Michele Michael’s ceramics, that linen-look in the photo on the left that that drew me in. I wanted to shop look through more of her work and her portfolio, and when you do, you can’t help but marvel at how beautifully it’s styled and shot by Philip Ficks. That led me to his portfolio, where I found these tasty squirrels. The ones in my backyard are less charming and less svelte, ahem, but they look alike in some ways. See how the squirrels’ paws are near their mouths? Always the case with the ones in my backyard. They would devour these cookies (as they did every vegetable I tried to grow last summer) post haste. Cannibals. Ruthless. Pudgy. There, I said it. do you want these spoons?